By the late nineteen seventies, most sandboxes were being filled figures in the 3 3/4" format. 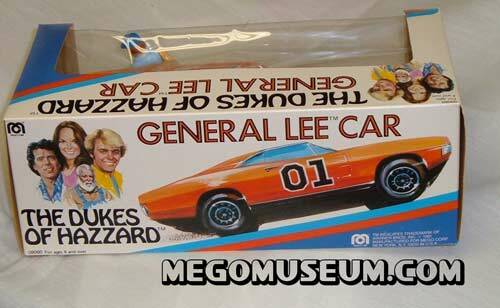 What is unique about these figures is that unlike many of the other 3 3/4" Mego lines, the Dukes don’t seem to fit any one body style but seem to use bits and pieces from all of Mego’s other lines. 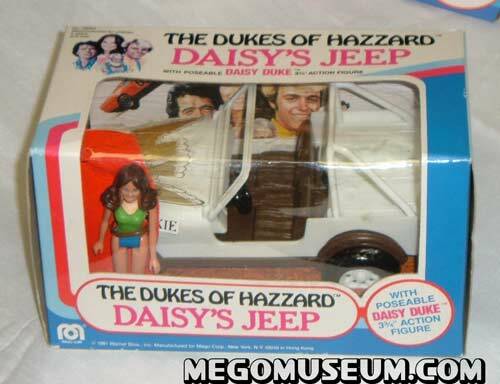 The Mego 3 3/4" Dukes line was a runaway hit and sold enough to warrant a second series, vehicles and (almost) a playset! For the Boys, Mego used the highly articulated body style that was used for lines such as The Black Hole and Buck Rogers. 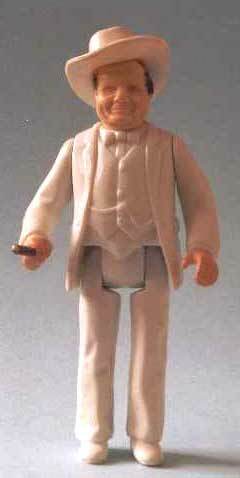 Boss Hogg and Daisy (although this is a later head sculpt) rounded out the first series. 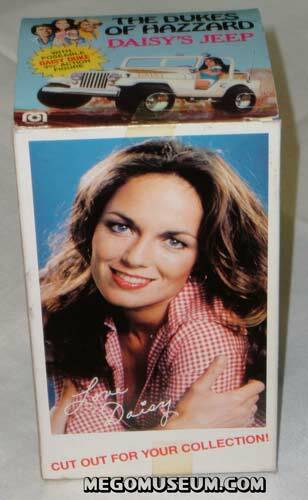 Boss had a Pocket heroes style body while Daisy emulated that of the Star Trek the motion picture line. Roscoe and Cletus (pictured above) were in the second wave of figures and featured a body style similiar to the Pocket Superheroes. 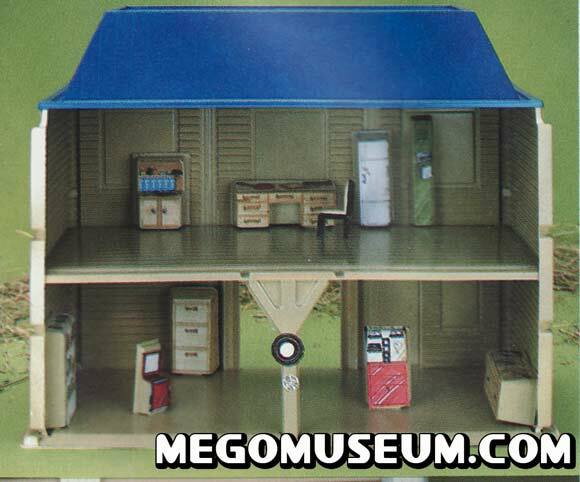 Mego fans will instantly noticed the recycled parts from CB McHaul. 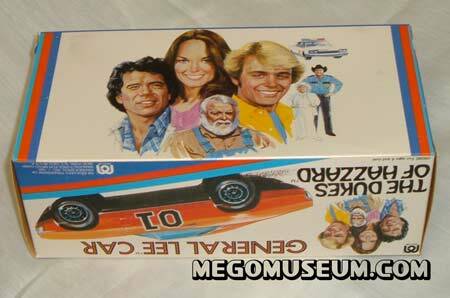 To round out the second series we have Cooter and Uncle Jesse, two figures that never made it to the 8" format. Both figures can be tricky to find in the secondary market. 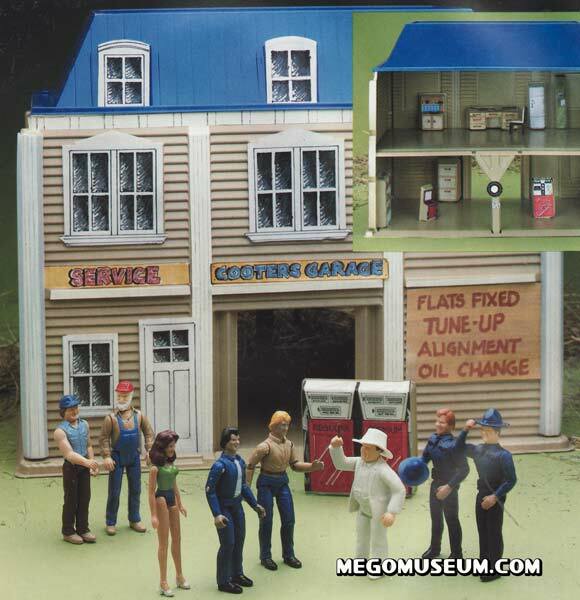 Mego featured a “Cooter’s Garage” playset in their 1982 catalog, as you can see by looking at the photo it’s a rather home made affair (the company was starting to struggle with R&D money) Despite the overwhelming popularity of the series at the time, it’s no surprise that buyers passed on this somewhat uninteresting playset. Without something that tied into the series (like being able to repair the vehicles) it’s just another vacuform shell. It’s all about the cars when you’re talking the Dukes and it’s high time we featured them. All photos are from the collection of Chris Johnson. 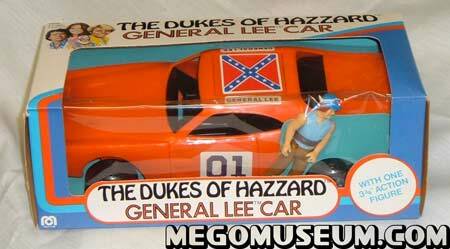 The General Lee came with a variety of bonus figures, often the Duke boys but occasionally characters like Uncle Jesse and Cooter as well. 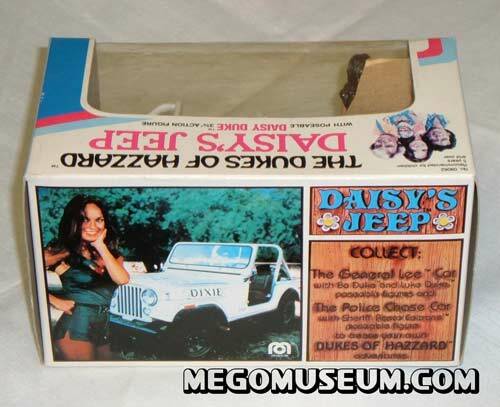 Daisy always came with her Jeep however.